Dr. Ioan Nistor is a Professor of Hydraulic and Coastal Engineering in the Department of Civil Engineering of the University of Ottawa. Dr. Nistor is a coastal and hydraulic engineer researching hazards associated with extreme hydrodynamic loading on infrastructure (tsunami impact on infrastructure, extreme wave and flood forces on structures, dam failure phenomena, etc. ), coastal erosion, and hydrodynamics and impact of coastal disasters. Dr. Nistor is the Chair of the Maritime and Coastal Division of International Association for Hydro-Environment Engineering and Research (IAHR) and a member of the Board of Directors of the Canadian Coastal Science and Engineering Association. He is also a voting member of the ASCE7 Tsunami Loads and Effects Subcommittee for the elaboration of New Design Guidelines for Tsunami-Resistant Buildings. 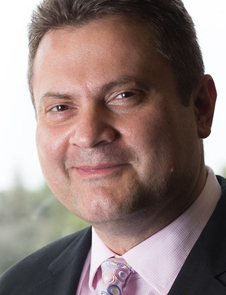 Dr. Nistor is also an Associate Editor of the Journal of Waterways, Ports, Coastal and Ocean Engineering (ASCE-USA), of the Coastal Engineering Journal (JSCE – Japan), and of the Canadian Journal of Civil Engineering (CSCE-Canada). He is the winner of several research and teaching awards: the 2014 JWPCOE (ASCE) Outstanding Paper Award, the 2010 Award of the Tsunami International Society, the 2010 Excellence in Education Award of the University of Ottawa, the 2009 John V. Marsh Teaching Award of the Faculty of Engineering, and the 2005 Ontario Ministry for Infrastructure Renewal award.